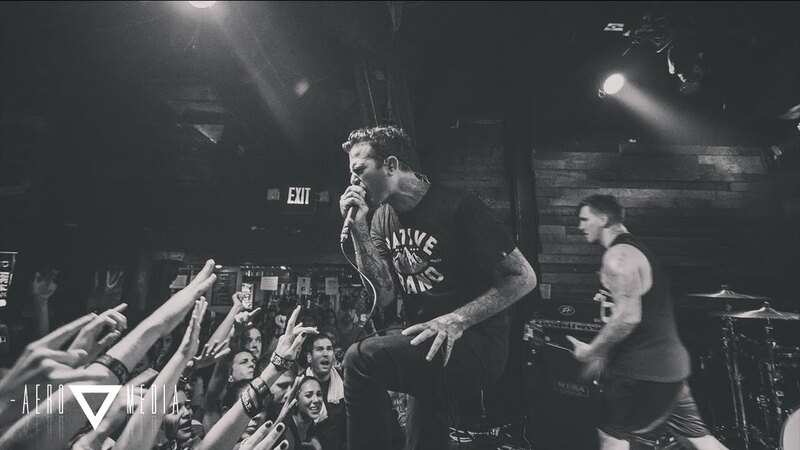 Prominent in the metalcore scene, The Amity Affliction are certainly the appropriate choice to kick start the vast array of gigs held this year at our very own QMU. Hailing from Australia, they have travelled to the opposite side of the world to pack in an energetic performance as part of their Misery European Tour. Opening with ‘Ivy (Doomsday)’, the first single released from their latest album Misery, the venue is suddenly brought to life, with the crowd responding enthusiastically to every lyric unclean vocalist Joel Birch screams. After overcoming the initial shock of having such a renowned band play at my student union, I ease into the unfamiliar setlist comprising mainly of new tracks, with the familiarity of their melodic formulas sweeping me in. Everyone is utterly engrossed by the musicians in front of them; a plethora of people continuously crowd surf, shaking the hands of their idols, whilst others form energetic pits. There is a harmonious atmosphere that cannot be denied, uniting the crowd that is a mix of ages; a blend of old and new fans alike. They then change the tone with an acoustic introduction to ‘All Fucked Up’ before going back to their compellingly heavy sound; you can see Birch become emotional before releasing it all with a woeful scream. His emotions and sense of vulnerability resonate with the crowd, as they feel the power of his lyrics, screaming back with cathartic release. For a band that sing about difficult topics such as mental health and suicide, it is hard not to realise the power behind their music and feel captivated by their strength. The Amity Affliction challenge the stigma of ‘boys don’t cry’ and actively convey their emotional experiences through their music. Before I know it, it draws to the end of their high-energy set. Following the traditional Glaswegian chant of ‘one more tune’, they return on stage for their encore with clean vocalist and bassist Ahren Stringer rather impressively imitating the accent. Playing their most popular hits from their previous album, they end the night on a high with ‘Pittsburgh’ – uttering the final lyric “please tell me I am not undone”. This message leaves the crowd with hope; that no matter what you are going through, this is not the end. This hope lingers long after the band leave the stage, showing the power music can have in relation to mental health.